Border Patrol agents assigned to the Rio Grande Valley Sector assisted in the recovery of five deceased migrants between Friday and Sunday. More than 80 migrants have died this year in this one sector after illegally crossing the border. Weslaco agents found a deceased migrant in a water basin located near the border town of Mercedes, Texas, on Friday. The agents contacted the Mercedes Fire Department to recover the body and transfer the remains to a medical examiner after a local justice of the peace made the death declaration, according to information provided to Breitbart Texas by Rio Grande Valley Sector officials. Agents assigned to the Corpus Christi Station responded to a call from a concerned citizen who reported a deceased individual along U.S. Highway 77 just south of Victoria, Texas. The highway is a primary corridor for human smugglers to move their cargo from the Valley to Houston and beyond. Victoria County Sheriff’s Office deputies joined the Border Patrol agents at the scene, along with a local justice of the peace. The judge made the death declaration and the medical examiner took custody of the remains. Border Patrol officials told Breitbart Texas that the migrant’s death is under investigation. 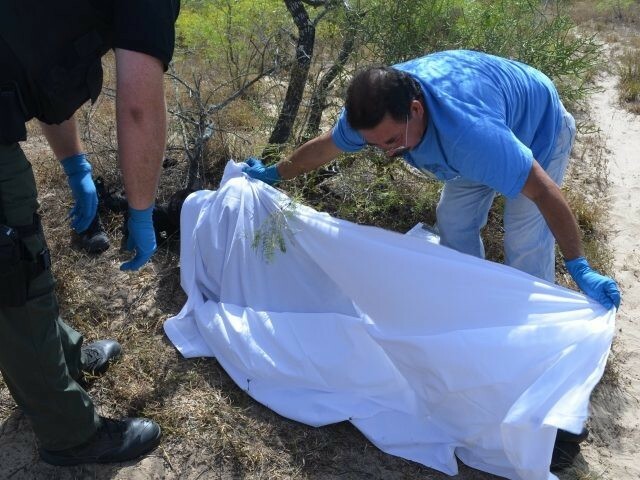 Weslaco Station agents also discovered the remains of another migrant while patrolling along the Rio Grande River near the border town of Hidalgo, Texas. The agents found the migrant’s body on the riverbank. Hidalgo County Sheriff’s Office deputies and the Hidalgo Fire Department came to the scene and took charge of the remains. Shortly after midnight on Sunday, McAllen Station agents operating near La Joya, Texas, came upon a large group of illegal aliens. Some of the migrants attempted to flee by jumping into a canal. The agents observed that two of the migrants did not make it across the canal and began an effort to rescue the individuals. Agents called for support from the La Joy Fire Department. After the sun came up, fire department rescue crews located the two missing migrants. A local justice of the peace made the death declaration and the Hidalgo County Morgue took custody of the migrants’ remains. More than 80 illegal aliens have lost their lives in the Rio Grande Valley Sector this year, according to the Missing Migrant Project. This represents more than 30 percent of all migrant deaths that occurred along the U.S.-Mexico border.